Snickerdoodles are always a favorite cookie around here. 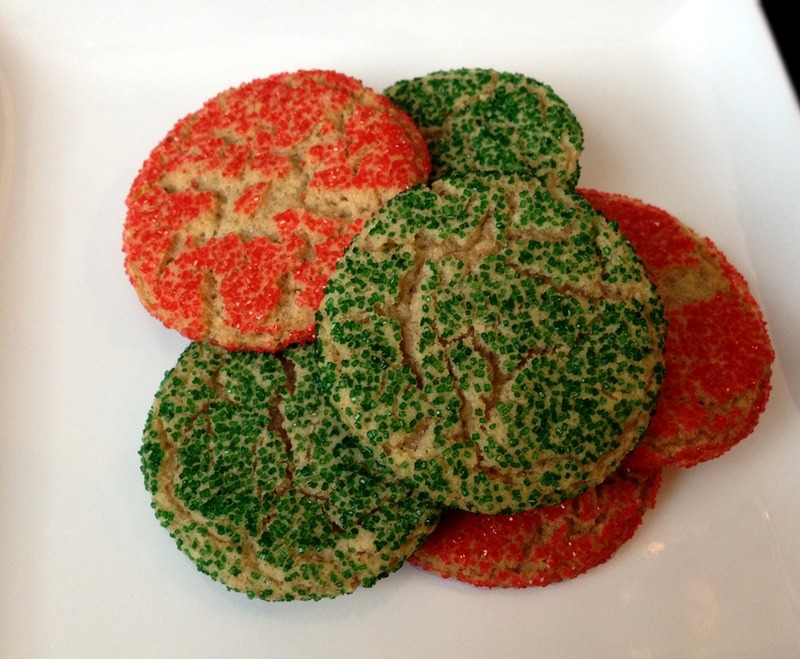 Jazz them up for Christmas by rolling them in red and green sugar. With traditional snickerdoodles, the dough is dipped in a mixture of cinnamon and sugar. When I make these with colored sugar, I mix the cinnamon into the dough, and dip the cookie balls just in the colored sugar. Cream butter and sugar with an electric mixer. Beat in eggs and vanilla. Stir together flour, cream of tartar, cinnamon, baking soda and salt. Add to egg mixture. Roll into 1” balls. Roll balls in colored sugar.